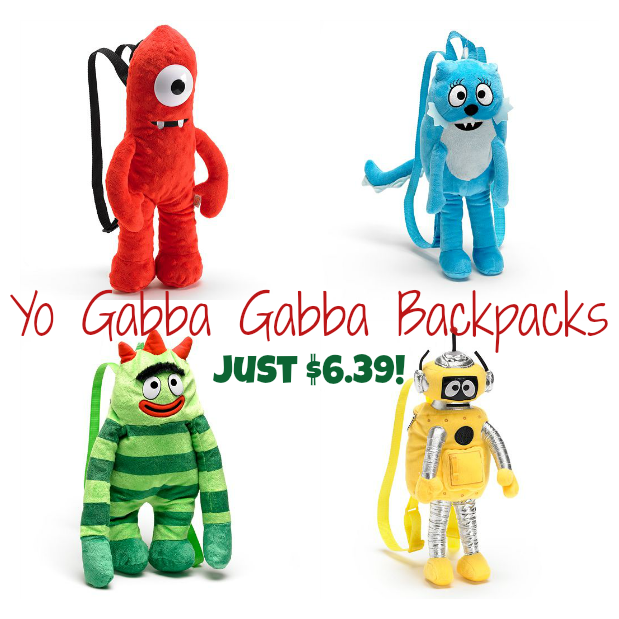 Yo Gabba Gabba Backpacks Just $6.39! You are here: Home / Great Deals / Yo Gabba Gabba Backpacks Just $6.39! Do you have a Yo Gabba Gabba fan in your life? Well, here’s your deal! You can get these oh so cute backpacks for just $6.39!! Remember you can use code: CYBER20 to get 20% off and you can also get FREE shipping on orders over $25 – no code needed for the FREE shipping! You’ll also find Disney, Dora, and More for as low as $3.99 after code!